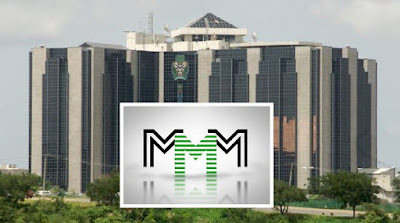 Akande Thomas, a Facebook user, has shared his experience as a participant from the popular quick money scheme called Mavrodi Mondial Movement (MMM) Nigeria. The participant claims that God rejected his tithe from MMM earnings and clearly told him that Christians involved in the scheme have had their names removed from the book of life. The Economic and Financial Crimes Commission (EFCC) spokesman, Wilson Uwujaren, recently announced that the organisation is currently investigating the investment scheme. When I was initially introduced to MMM, I went to God in prayer to seek for HIS approval. HE clearly told me that I cannot engage in it because those Christians involved in the scheme have had their names removed from the book of life. I was seriously troubled and at the same time afraid as I prayed passionately. As soon as I finished praying, I thought within myself 'could this voice restraining me be of God?'. Just as I was meditating, another voice came saying; 'It can not be of God but rather from the devil trying to tie you down in perpetual poverty for the rest of your life.' So I quickly neglected the former voice for the latter. I decided to try the scheme with 250k. At the month end, I was so happy when I saw the return of the investment. Could life had been better than this? God punish the devil that would've restrained me from this 'bumper harvest'. Then I decided to pay my tithe. Just as I was planning to make the withdrawal, God ministered to me - 'I don't have anything to do with such money.' I broke down in tears regretting what I have done in disobeying God. I pleaded for forgiveness of which I know HE has mercifully answered. I closed my MMM account but till now I don't just know what to do with the money God has rejected.